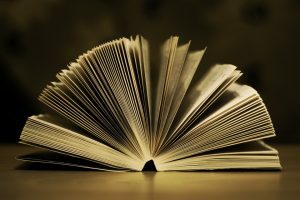 Comprehension goes beyond reading the text on the page – it involves finding meaning in the text and being able to summarize, reiterate, and apply what has been read. Successful reading comprehension requires text comprehension, vocabulary knowledge, and reading fluency. If your child cannot recognize and understand the individual words on a page, then he or she will struggle to make sense of the text as a whole. Students with well-developed comprehension skills are able to understand both the main idea and the details of any given text, and they are able to identify the different components of the text as well. Comprehension is an interactive process that occurs not only while a student is reading the text but afterwards, as well. It consists of the ability to make inferences from a passage and use critical thinking skills to answer questions related to the text. Comprehension skills must be taught and reinforced over an extended period of time to ensure that your child can master reading comprehension. Comprehension skills are fundamental to language fluency and are necessary for your child’s success. They are a part of every subject your child learns, and these skills are imperative to his or advancement in school. Strong comprehension skills are required for your child to excel in standardized state testing as well as placement testing for middle school, high school, and college. Many tests have reading portions specifically written to evaluate comprehension skills. Therefore, it is important to make sure your child feels comfortable and confident with reading comprehension, and that he or she practices these skills frequently and continuously throughout every level of school. The benefits that result from well-developed comprehension skills are endless. Reading comprehension skills will help your child not only in English class but in all areas of academic study. They translate into real-world abilities and critical thinking, which are valuable skills your child needs to be successful in both academic and professional settings. Comprehension skills acquired early in life and practiced often and refined throughout grade school and high school will ensure your child’s success in college and in his or her future career. Have you child practice reading aloud to increase reading fluency. A great way to encourage natural, relaxed, and confident reading is to have your child read fictional stories or plays aloud. The content in this type of literature will teach your child to stop at periods, emphasize words, and create voices for different characters. Remember, the goal is for your student to interact with the text, not just observe it. Your child needs to not only be able to understand what he or she has read but also be able to apply the material and connect the text to his or her knowledge and experiences. The more fluently your child can read, the better he or she will comprehend the text. Practice is key when it comes to perfecting comprehension skills. The more your child reads, the better he or she will be able to quickly and accurately comprehend reading passages. Encourage your child to read for pleasure outside of school. Take your child to a local book store or library to pick out some books he or she is interested in. If your child is interested in the subject matter, he or she will be far more likely to understand the story. Additionally, letting your child make reading selections that interests him or her will instill the enjoyment of reading. No matter how old your student is, practicing comprehension outside of school will strengthen your child’s abilities to comprehend more difficult passages in class and on exams. Whether your child excels at reading comprehension or is struggling with the concepts, an after-school enrichment program is an option to consider to further develop these skills. At A Grade Ahead, our English curriculum is specifically designed to strengthen reading fluency and comprehension skills. Comprehension sections are included in each week’s homework for English students in all grades. While each of our lessons includes the basic fundamentals such as vocabulary and grammar, special emphasis is placed on reading comprehension, as we understand the importance and the challenges that come along with it. We help to increase reading fluency by practicing reading in nearly every class. Our teachers encourage students to interact with the text and to connect the text to their own lives. They ask questions which require students to think critically and make deductions from the text. We emphasize the main idea of a passage as well as individual paragraphs within the text, and our small classroom size allows A Grade Ahead teachers to evaluate each student’s comprehension level and work with parents to strengthen areas of improvement. Parents, how often does your child read? What techniques have you found to be effective to help your child develop his or her comprehension skills?